Part of me fears that when the ERT budget is scrutinized in the near future, the Voice of Greece may struggle to stay on the shortwaves. I’ve been recording hours of their programming over several days and will have more recordings to post in the future. Please share your recordings on the Shortwave Radio Audio Archive. Thanks! 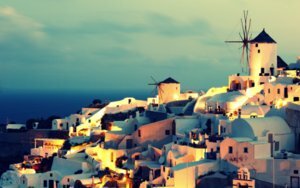 This entry was posted in Broadcasters, Recordings, What's On Shortwave and tagged Recordings, VOG, Voice of Greece on June 30, 2013 by Thomas. Heads up! Geomagnetic storms may make it a challenge to hear the test broadcast of Hamburger Lokalradio this weekend or any shortwave broadcaster for that matter. Spaceweather.com reports a strong geomagnetic storm is in progress as Earth passes through a region of south-pointing magnetism in the solar wind. The storm has generated auroral displays as far south as Kansas in the US. The NOAA Space Weather Prediction Center indicates the storm is a G3 level event. 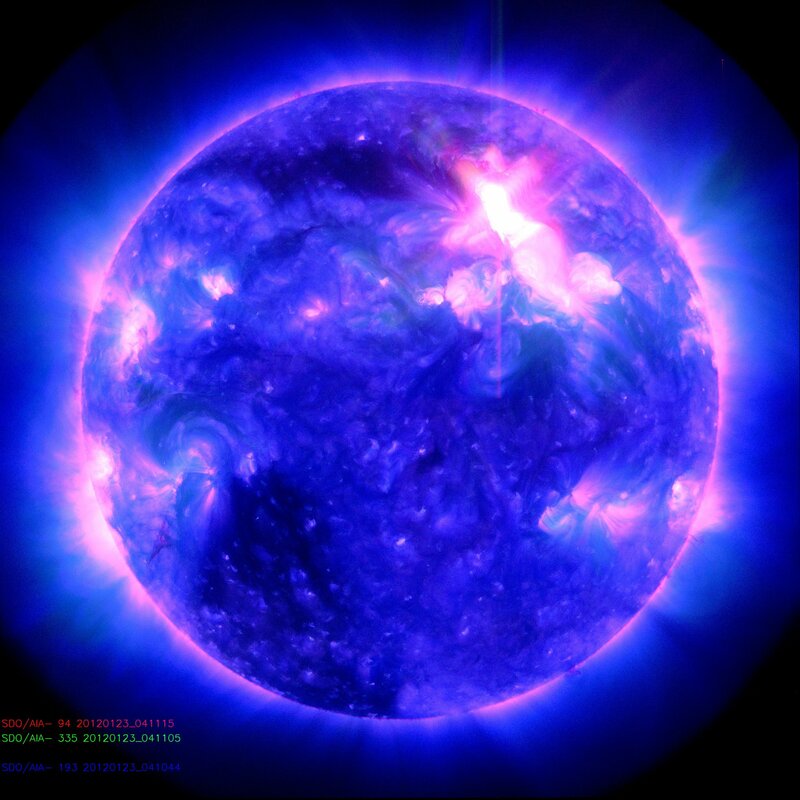 WWV announced at 0900 UTC, “Geomagnetic storms reaching the G3 level are likely” over the next 24 hours. NOAA says that in a G3 level storm, HF radio may be intermittent. Calculated band conditions reported on the DX Summit site indicate “poor” conditions on 80 through 10 meters. WWV reported the estimated planetary K index at 0900 UTC was 5 (the 0600 UTC figure was 7). […] A coronal mass ejection (CME) is expected to deliver a glancing blow to Earth’s magnetic field late on June 30 or early on July 1. This entry was posted in News, Space Weather and tagged ARRL, CME, Coronal Mass Ejections, Space Weather on June 29, 2013 by Thomas. 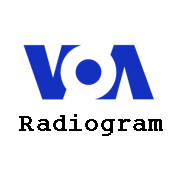 During the weekend of 29-30 June 2013, VOA Radiogram will continue experiments with the EasyPal digital image software. EasyPal will be transmitted in both its 4-QAM and 16-QAM settings to see if the former can be decoded in conditions where the latter cannot. Download EasyPal from vk4aes.com. This entry was posted in Broadcasters, Digital Modes, Schedules, Shortwave Radio, What's On Shortwave and tagged Digital Modes, EasyPal, Kim Elliott, VOA, VOA Radiogram, What's On Shortwave on June 29, 2013 by Thomas. Prime Minister Hun Sen’s administration on Tuesday asked all FM stations to cease rebroadcasting Khmer-language radio programs by foreign broadcasters in the run-up to the July 28 elections, saying the move was aimed at “forbidding” foreigners in Cambodia from campaigning for any group in the polls. 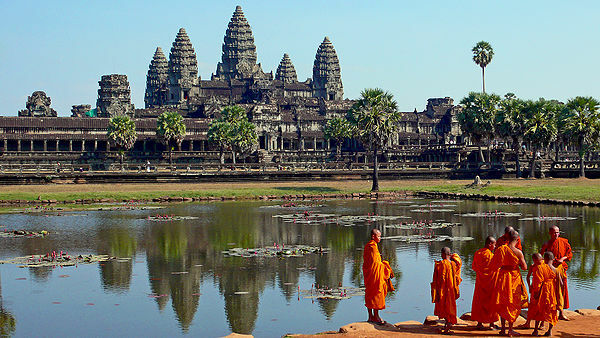 The U.S. government immediately lodged a protest with the Cambodian authorities over the directive, saying it will throw in doubt the legitimacy of the elections, in which Hun Sen’s Cambodian People’s Party (CPP) is widely expected to win, enabling him to extend his 28 years in power. “The directive is a flagrant infringement on freedom of the press and freedom of expression, and is yet another incident that starkly contradicts the spirit of a healthy democratic process,” John Simmons, spokesman for the U.S. Embassy, said in a statement. “While Royal Government officials at the highest levels have publicly expressed an intention to conduct free and fair elections, these media restrictions, and other efforts to limit freedom of expression, will seriously call into question the legitimacy of the electoral process,” he said. “The Ministry of Information’s directive doesn’t stem from complaints of programming irregularities, but rather is a blatant strategy to silence the types of disparate and varied voices that characterize an open and free society,” it said. Mam Sonando, a Cambodian activist who runs the independent Beehive Radio and an ardent critic of Hun Sen’s administration, called the ban “illegal” and “childish” but added that he would comply with the order. U.S.-based Human Rights Watch (HRW) said it was puzzled by the Cambodian government’s suggestion of foreign meddling in the elections. “It’s about the fact that they know the elections are going to be very poor—they are structurally poor, they are poor in implementation and poor in practice and they don’t want this reported,” Adams said. “The ban intends to stifle the voice of RFA and VOA because the government has regarded the two stations as opposition radio stations,” he said, adding that by preventing local stations from carrying programs by the two entities, the government believes it can “silence” the opposition parties. Reported by RFA’s Khmer Service. Translated by Vuthy Huot and Samean Yun. Written in English by Parameswaran Ponnudurai. Andy Sennitt (with Focus Asia Pacific) points out that VOA has many affiliate stations in Cambodia that will be affected. VOA still plans to broadcast election coverage on medium wave and shortwave, however. If this sounds all too familiar, you might remember Zimbabwe’s radio ban earlier this year. This entry was posted in Broadcasters, News, Shortwave Radio, What's On Shortwave and tagged Andy Sennitt, Cambodia Election Coverage, Cambodia Radio Ban, Focus Asia Pacific, Free Press, Free Speech, Freedom of Information, Freedom of Press, Radio Free Asia, RFA, VOA, Voice of America, Why Shortwave Radio on June 29, 2013 by Thomas. 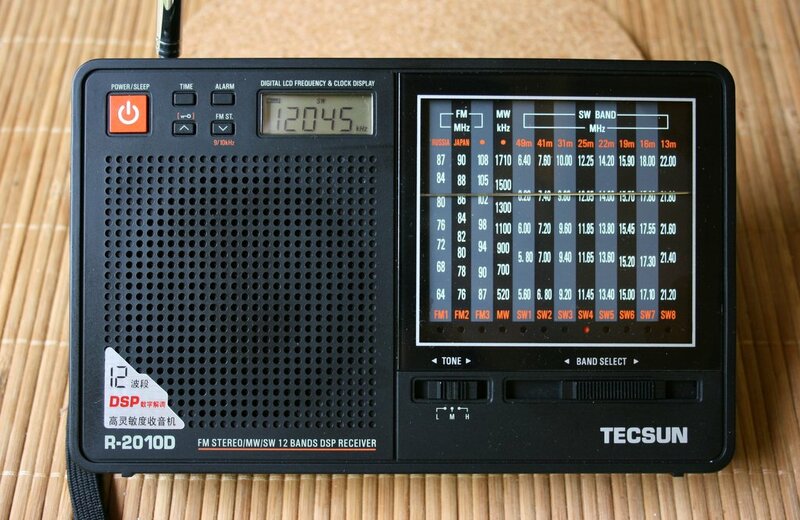 Thanks to Gary for sending this link to the Radio-Timetraveller’s review of the Tecsun R-2010D. I see that he had the same issue with abysmal selectivity as I did in my review of the radio earlier this week. I certainly hope Tecsun works to fix this; it would be a pleasant radio, if selectivity were improved and the AGC was tweaked. This entry was posted in Reviews, Shortwave Radio and tagged Tecsun R-2010D, Tecsun R-2010D Review on June 28, 2013 by Thomas.